Here's my personal highlights from this year's Ubisoft Press Conference at E3 2017. Can't start my Ubisoft highlights without talking about Assassin's Creed..
After a year's break from the yearly releases, Assassin's Creed is back! On the 10th anniversary of the franchise, we are going to be taken back to ancient Egypt where we will experience how the first Assassin Brotherhood was formed. 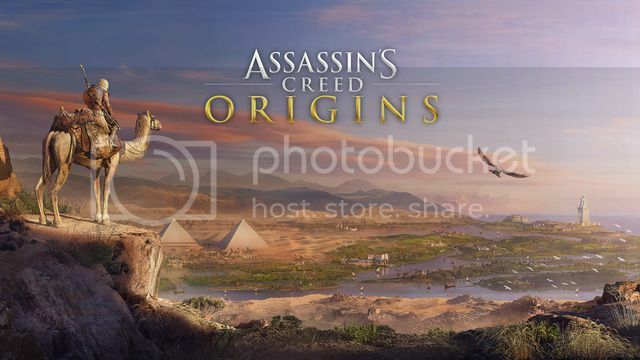 There's definitely tons of historical locations that we want the AC games to go to, but Ancient Egypt looks a really cool place! 'Eagle Vision' is definitely different now. Instead of scanning the area around you, you can now deploy your pet eagle, Senu, to tag enemies from above.. Similar to a drone. Game is said to be more Action RPG-like and it looks like there are some changes to the skill system, but will have to see, to what extent this is done. There's definitely some positive changes based on the gameplay, so hoping different builds can relate to different combat styles. "Naval gameplay" makes a return but not the same as AC IV.. Just looks like some traversal to reach different parts of the world. Not really fancying the combat, particularly the contact effects. Too flashy for me, like a Street Fighter fighting game. Egypt is a very refreshing setting after Europe. The weapons, buildings and even the animals are so unique that we may never have another AC game in this setting ever again. AC IV was my favourite AC game and it's great to know that many of the key members who worked on that will be behind AC Origins as well. Ubisoft Singapore have just been phenomenal in their work with water effects and it looks even more impressive now. I'm just going to enjoy looking at this game. And.. lastly, the E3 Reveal from the Microsoft Press Conference.. This was a huge surprise! 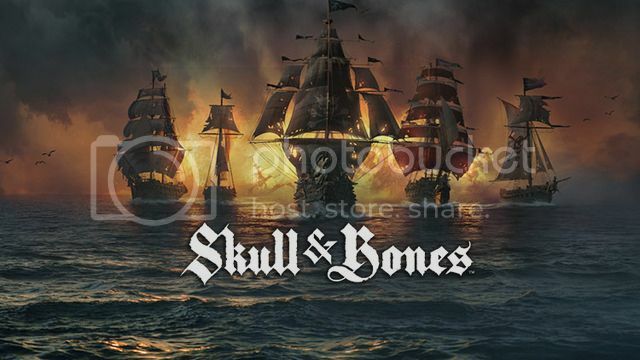 Skull & Bones, a Multi-player focused Pirate game will be developed by Ubisoft Singapore & will feature 5v5 Naval Combat. Sounds familiar? Yes, this is the same Ubisoft Studio that earned worldwide recognition for their work on Assassin's Creed IV Black Flag's naval gameplay. (They also worked on the water effects for this year's Assassin's Creed Origins). Looks like that's their forte! Haven't got the chance to do more testing recently so I had no idea how much progress they have made.. so this announcement at E3 was no doubt a nice surprise.. Don't really like the title of the game though.. A bit too generic.. Here's the announcement at E3..
and this is a 'Behind the Scenes' video for more info on the game..
One to look out for when it's released! 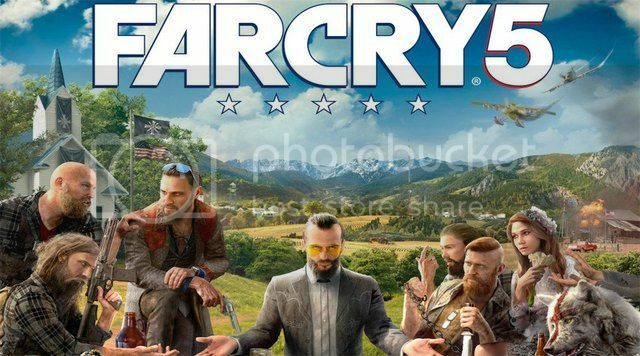 Another one of my favourite Ubisoft franchises.. funny I say that.. because I have yet to even play a single Far Cry game. The trailers always seem to make it look real fun though and the villains never fail to be entertaining.. I have bought every single Far Cry game since FC3 and I think it's time I start on the franchise.. Here's the Presentation of Far Cry 5..
Don't know much about this game but hearing that applause at E3 and hearing my friends' excitement about this, I'll be keeping an eye on this. Some definite buys as always from Ubisoft and some to look out for. 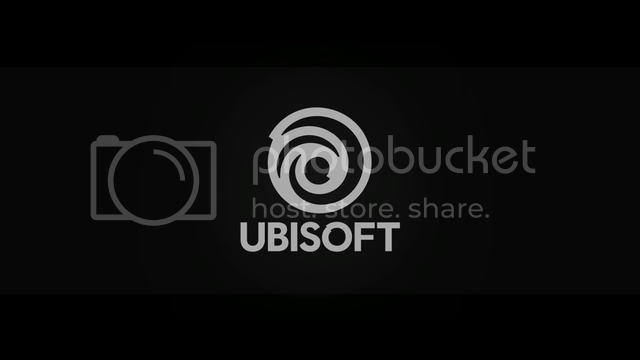 What were your Ubisoft highlights? E3 2017: Rumours, Predictions & Hopes! E3 2017: Looking forward to these games!